Zalgiris wins its 7th consecutive Lithuanian championship! Sarunas Jasikevicius’ team reached its 30th Lithuanian championship after taking down Lietkabelis in the finals! 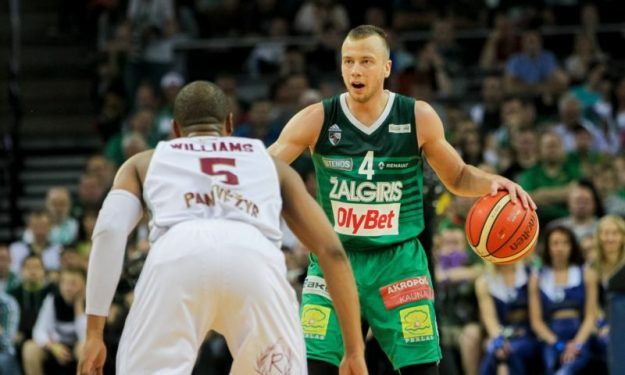 Robertas Javtokas said goodbye to basketball in the best way possible, as Zalgiris took down Lietkabelis 73-68 in Kaunas. As he mentioned, the Lithuanian great will be retiring after the end of this season. This is Zalgiris‘ 7th back to back Lithuanian championship and the 30th overall! After a tie in the first quarter (15-15 after 10’), it was obvious that it would be a very tight game between the two teams. With a 13-2 run the hosts managed to lead 42-33 at halftime, yet it wasn’t over! With less than one minute remaining in the final period, Lietkabelis trimmed the deficit to 3 points and pushed hard in defense. The reigning champions still held their ground and managed to defend their title. Lukas Lekavicius paved the way for the winners, scoring 23 points.